All our stuff for recycling goes in a different bin to the normal one. Dad says it gets picked up and made into new things and given a new life. 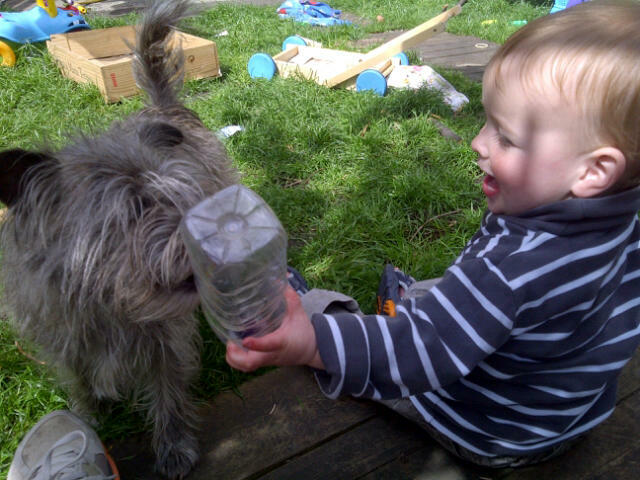 But me and Doodle reckon most of the stuff in the recycling bin is good fun to play with. So we are sort of pre-recycling it, giving it another life as a toy.